Simply put, golf is a game played on a large outdoor course that is outfitted with obstacles and a series of 9 or 18 holes. The object is to hit the ball with a club into each hole with as few strokes as possible. Sounds plain and simple, right? Maybe, but all golfers know that the rules of the game can be confusing and frequently change. Golf terms are as colorful as the springtime grass at Pebble Beach. “Bogey” comes from a song called “The Bogey Man” that circulated in Britain in the late 1800s. The subject of the song is heard saying, “I’m the bogey man, catch me if you can.” For a lot of golfers, hitting a perfect score is just as elusive! How about the game called “skins”? Skins is a form of golf gambling that has been around for eons but got really hot in the 1980s. In other areas, it is known as cats, scats, or syndicates. Golf course architecture would seem to be fairly simple. You just landscape a pretty piece of property, put in 9 or 18 holes, and open the clubhouse, right? But of course, it’s a lot more difficult than it sounds. For starters, course architects must construct a course within a reasonable budget and without breaking environmental laws. And needless to say, much thought and planning is required. When Samuel Morse built Pebble Beach, for instance, he insisted on reserving the oceanfront property for the golf course. Smart man! Many other people through history have made a name designing great golf courses. Some of the most prominent names worldwide are James Braid, Donald Ross, Old Tom Morris, and Dr. Alistair MacKenzie. 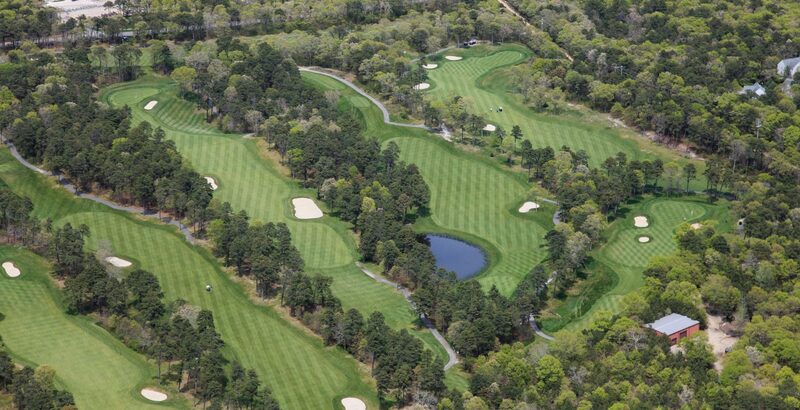 Today three of the most famous (and costly) architects are Tom Fazio, Jack Nicklaus, and Pete Dye. Some courses, such as a prestigious private course in Palm Desert, were built by a design team. The beautiful Masters Tournament course in Augusta, Georgia, has been home to the country’s most famous golf tournament. It started in 1934, when Bobby Jones and Clifford Roberts decided to hold an annual event. Today, the Masters is probably watched by as many people who don’t know a birdie from an eagle as it is by passionate golfers. And if you don’t know who Tiger Woods is, climb back under that big rock on the rough that you’ve been hiding under!